In case you’ve been away on vacation or depend on traditional newscasts for information, an organization called The Center for Medical Progress has been releasing videos nearly every week this summer that show Planned Parenthood reps at their worst. Even if you’ve only watched the short versions of each one—edited for time, not context—you can gather something very sinister going on with the nation’s top abortion provider. In the videos, they talk freely and casually about their practice of harvesting and selling fetal remains. Of course. They’re just there to terminate their pregnancies and get on with their lives, right? They don’t care that PP sees them as another revenue stream. Wrong…the women don’t know going in how this is done or that people other than themselves will benefit financially from their “product of conception”, as the unborn child is called. They’re told it’s strictly for research—not profit, so it’s easy to imagine that a patient already stressed out by her situation may feel some comfort from that. Gatter seems totally detached from the idea that many of those women (and girls) are terrified, confused and heartbroken, or that being there is the last place they want to be. When something is legal or good, you don’t have to worry about getting caught. I’m not sure how these people sleep at night. They must have to lie to themselves every day that what they’re doing is really helping women by ending an unwanted pregnancy that (they think) isn’t really a life at all but a mass of tissue. How can they make that argument now? If it were just a clump of cells or tissue as they’ve always said, then why is it necessary to preserve certain parts? Why is it so valuable to them? 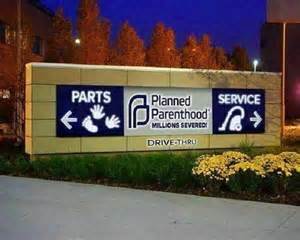 Why, if there’s nothing wrong with what’s going on, do they cover their tracks by having their affiliates (local Planned Parenthood branches) contract directly for body parts sales? As Nucatola says, this is “too touchy an issue for us to be an official middle man.” So, if at some point (like now?) the grisly transactions are exposed, it will be the affiliates that will feel the heat, thereby shielding Planned Parenthood. There is so much on these tapes, it’s amazing that there’s been hardly any outcry for something to be done. Even those we’ve put in power can’t agree that PP should be defunded, at least temporarily until there’s a full investigation into these activities. Women and unborn children are being abused and exploited by an organization operating under the banner of women’s health. Part 2 of this posting will be published tomorrow (8/15) in the afternoon…video 6 just came out this week. In it, a whistleblower shares her story about what she saw inside the clinics. Subscribe to the Liberty Belle Blog!